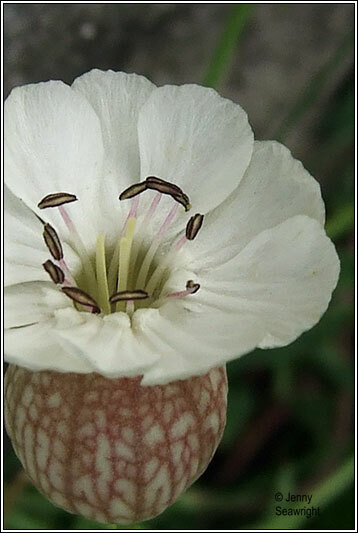 White flowers with inflated pinkish-brown cylindrical calyx tubes. Petals notched, overlapping. Flowering and non-flowering shoots are present. 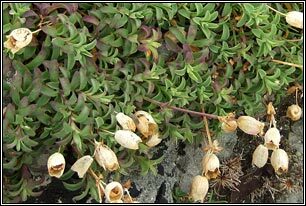 Small waxy leaves, narrow-oval. Mat-forming growth. Height: 8-25cm. 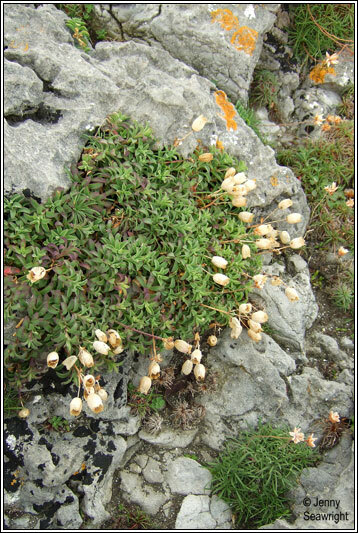 Coastal on cliffs and shingle, also found inland on mountains. 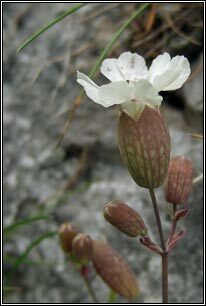 Similar: Bladder Campion, S. vulgaris. 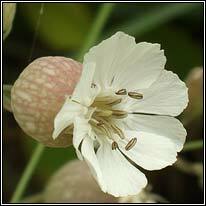 White flowers with deeply divided petals, not overlapping. Inland, sandy, open ground. 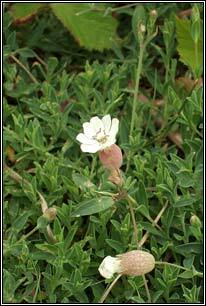 Above: Sea Campion. Poll Salach, the Burren Co.Clare. July 2008.